Portraiture and figurative painting is often considered one of the most difficult, portraiture in particular, but just like everything else it is easy when you know how! Drawing and painting from a life model is a really key part of the Atelier method and curriculum. 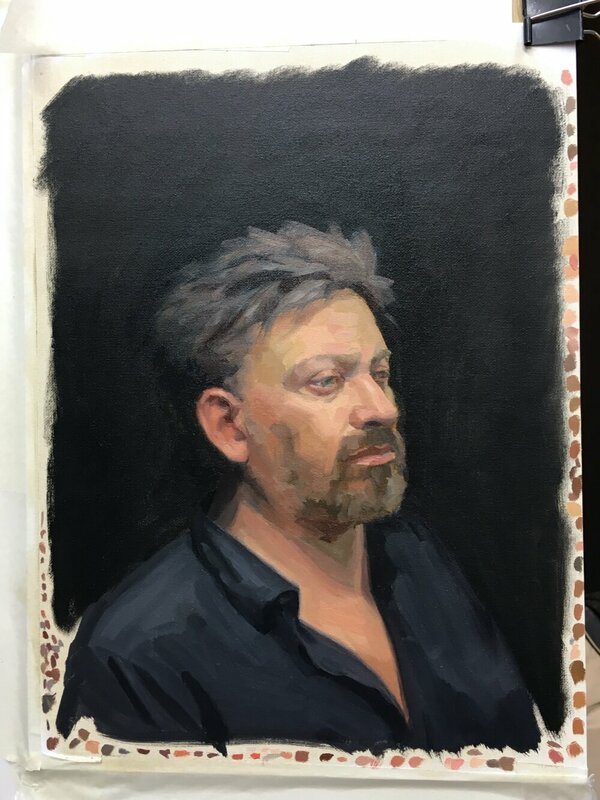 Whilst not compulsory, it is a huge advantage for students interested in portraiture to complete the drawing module and the first painting module before joining a portraiture class. Ideally, take a portrait class alongside the painting modules. This class is for all levels, complete beginners and experienced artists. This ten week course provides you with a series of model studies. These are a mixture of one, two and three day model studies with a mixture of models over the term. Each class is three hours long and there are only six spaces in each class. These small groups, enable lots of support and time for demonstrations. You will be shown how to use classical imprimatura and alla prima painting techniques, proportional accuracy, how to capture likeness, colour mixing and the subtle use of tonal values. All of which support you to paint portraiture representationally. If you are not free on a Friday, you can also take a half day class at any other session and add the Wednesday evening portrait class, the cost would also be £660. We are extremely proud to say we have a number of award winning portrait artists that provide masterclasses. These classes are designed to deepen and fine tune your skills and therefor require you to have some experience in oil painting and portraiture. For more information on these individual short courses, click the link below. Figurative life drawing and painting coming soon! Interested? Join our mailing list and you will be the first to know.